CREATE A FUN EVENT AT YOUR SCHOOL AND SEE IF YOU CAN FIND THE NEXT STATE OR NATIONAL CHAMPION! The road to the National Geographic Bee starts in your school! School winners then take a qualifying exam, with the 100 top scorers going to Fresno State University to compete in the State Bee. Then the winner heads to Washington, D.C. for the national finals. There is only one winner (and in 2018 it was California’s own Venkat Ranjan! ), but the Bee is fun for everyone and can engage students in learning geography in a fun way. Any paid school employee can register their school for the National Geographic Bee online. 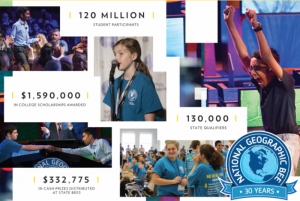 The National Geographic Bee registration fee is $120 per school. Schools needing financial support can complete a Registration Discount Request form available here. February 1: Deadline for completion of online State GeoBee qualifying test. 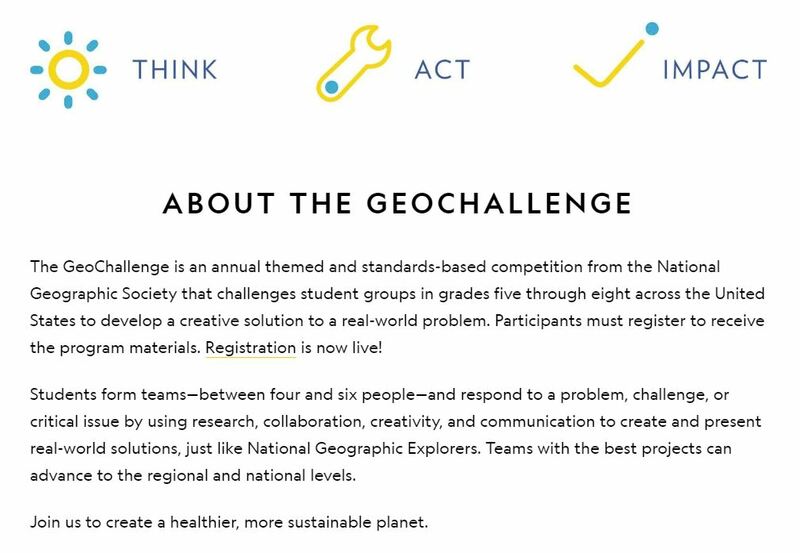 May 19-22: National Championship held at National Geographic Society headquarters in Washington, D.C.
National Geographic Society Education staff have collected resources to help students study for the GeoBee. Visit their Study Corner for study guides, apps, and Kahoots!